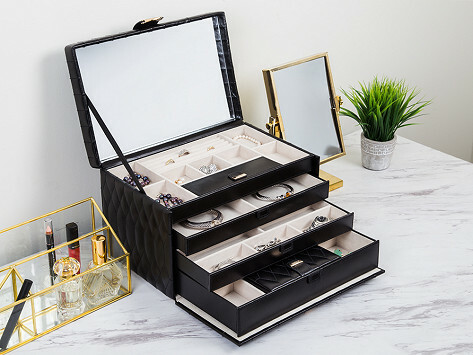 This handmade jewelry box provides ample storage space for your jewelry. When you’re on the go, use the accompanying travel case to keep your pieces safe. The large-sized case is wrapped in quilted leather for a distinctive look. 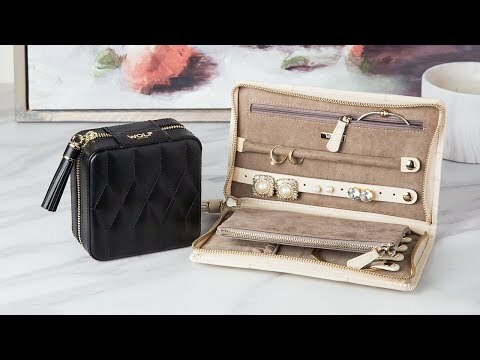 The inside is lined with LusterLoc, a treated suede that helps prevent jewelry from tarnishing, which keeps your baubles looking perfectly polished. Dimensions: 13" x 8.5" x 8.25"